I now have my violets and cowslips candied and today it was time to “pot” my asparagus. I used Robert May’s receipt in The Accomplisht Cook 1685-To keep Sparagus all the year. I parboiled the asparagus “very little” and clarified butter. 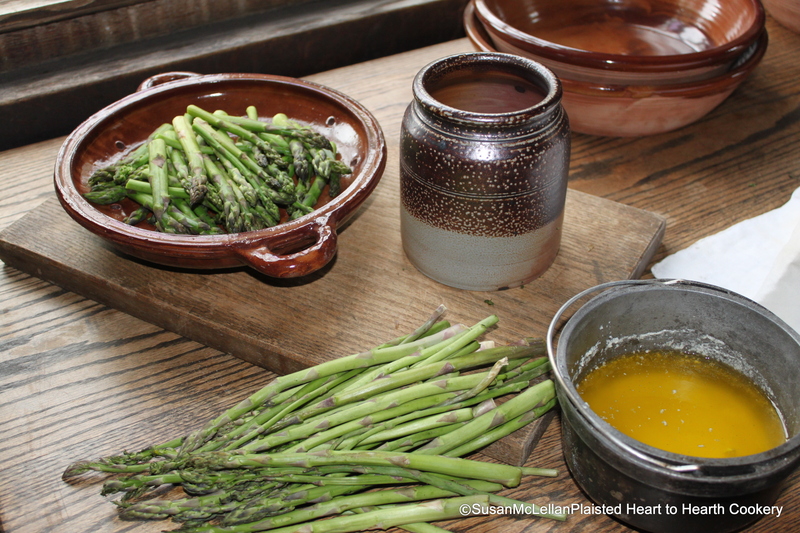 The asparagus is placed in the stone ware crock and covered with clarified butter. When the butter is “cold”, the crock is covered with a leather. Next month I will “refresh” the butter and store the crock in a very cool location. « Veal Collops and Devonshire Junket!